The Altar Linens Committee takes responsibility for properly cleaning and ironing the linens used during the Liturgy of the Eucharist at Mass. A commitment to help would require a volunteer to care for the linens at his or her home approximately once every six weeks. Although the job takes about one hour to complete, it is truly a labor of love to provide this important service for our Parish. Please contact Linda if you’d like more information. Attic Treasures Rummage Sale is held on a Saturday in October. Parishioners may donate items that are sold in one designated area. Parishioners also have the option to purchase a table and sell their own items! The kitchen is open for light refreshments during the sale. Volunteers are needed to take donations the Thursday and Friday before the sale and also the day of the sale (helping customers, ringing up purchases, packing up goods afterwards). If you are interested in volunteering, please contact Dawn at the 215-804-5234. Christmas Bazaar is held typically on a weekend at the end of November or early December. It is the major fund raising event of the parish. Various tables and the kitchen are run by our parishioners and feature gifts, crafts, baked goods and household items. The Grand Raffle features valuable, interesting prizes thanks to the generous donations of parishioners and local businesses. Vendors are also welcome to participate by purchasing a table. Please call Dawn (215-804-5234) if you would like to help or wish to participate as a vendor. Volunteers are always needed, and it makes for a great Confirmation Service Project! Scrip Program is a fundraising program that allows you to buy gift cards for a variety of local as well as national businesses (grocery stores, restaurants, gas stations, and specialty stores). The way the program works is gift cards are purchased by our Scrip program at a discount and are in turn sold to buyers at face value. The difference between face value and what the Scrip program paid for the cards is then split between the buyer (families) 70% and the program (to cover operating costs) 30%. By participating in the program you earn credit to use towards school tuition at any Catholic elementary, high school or college/university. You may donate your credit to benefit the parish, pay your tuition for the PREP program, or help a needy family. It can also be donated to any program within the parish. Scrip is sold every weekend in the narthex, before and after the 5:15 p.m. Mass Saturday, before and after the 10 a.m. Mass on Sunday, as well as after the 8 a.m. Sunday Mass. Please contact Rose Lamphere 215-687-2902 or email if you need more information. The church building is cleaned in the morning on the first Wednesday of every month. No commitment is necessary; just show up when you are able to lend a hand. Come and assist with this vital parish task. Help to keep our church of St. Agnes beautiful. This group serves the delicious donuts, juices and coffee that are offered following the 8:00 AM and 10:00 AM Sunday Masses once each month (except during the summertime)l The group also provides the congregation with an opportunity to get to know one another. Please call if you would like to help. Why join the Knights of Columbus? Imagine being a part of an organization that fills your heart and your mind with the joy of giving to others and the feeling that comes with making a difference. Charity is the primary principle of the Knights of Columbus and the members are quite proud and serious about this principle. Knights are Catholic men, 18 years and older, who are committed to making their community a better place, while supporting their Church. Being a Knight is more than camaraderie; it is being involved with your community; it is supporting your local Catholic Church, while enhancing your own faith; it is about protecting and enhancing your family life. Come see just what we are all about and take steps to enhance your personal life by being a Knight. We are eager to meet you. The Knights also have a 4th degree assembly (#3321) “Blessed Pope John Paul II” which is in conjunction with St. Isidore’s Knights in Quakertown. Find out more about us by contacting any Knight of Columbus at St. Agnes Parish or visit www.kofc.org for more information. Loving Hands is a knit and crochet group that focuses on creating blankets for the Linus Project (ages newborn to teen), which are distributed in Bucks and Montgomery Counties. The group meets on the second Monday of each month in the Social Hall Meeting Room, however, you can also work on items from your home. Please contact us if you would like to get involved. The parish sacristans volunteer their services, some on weekdays, some on weekends, to oversee preparations for Mass. 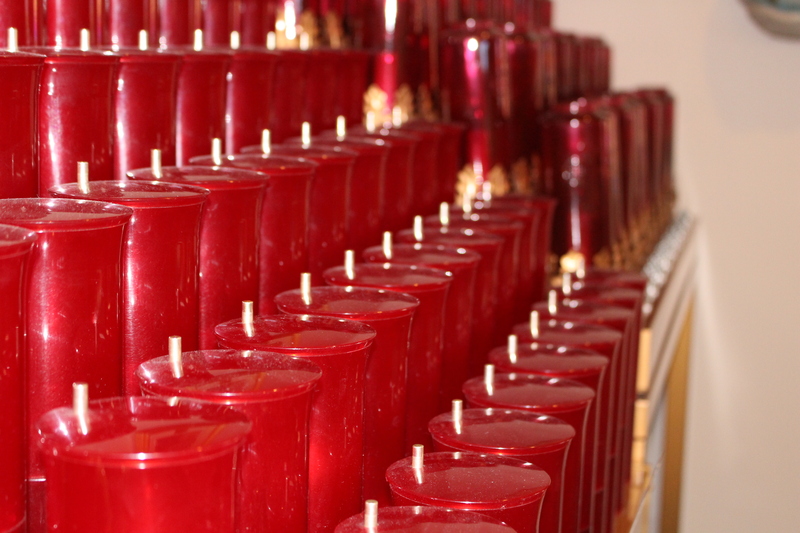 In addition to unlocking the locking the church building, sacristans prepare the sacred vessels and cruets for Mass, see to the readiness of sound systems, keys, lights, candles, altar linens and related equipment. They arrange liturgical books and supplies as needed. The sacristans see to the availability of hosts, sacramental wine, ciboria and chalices. The Silver and Gold Club is a social and educational group for the 55 plus group. The club includes members from the parish and from the local community. The club meets on the second Tuesday of each month in the Social Hall. Club members enjoy special social events and educational speakers relevant to senior adults. Please contact us if you would like to get involved. The Lord’s Cupboard is an outreach organization made up of both men and women who give graciously of their time and talents both during the holidays and throughout the year with the focus being on charity and service toward neighbor. The Lord’s Cupboard consists of Meal-Makers who volunteer on an as-needed basis to prepare dinners for those members of our parish who could use a genuine “pick me up”, such as a patient being discharged from the hospital, a new mom, or as a thoughtful, caring gesture to a family member who has suffered the loss of a dear one. In preparation for each holiday, season Basket-Makers organize and distribute holiday baskets. Donations of canned goods, non-perishables and gift certificates of all types are accepted at any time. These items are used to fill the baskets, help out those in need throughout the year, and if need be, aid the Meal-Makers in preparing meals. When food donations are in abundance, the Lord’s Cupboard gives to the less fortunate in our community, in the name of St. Agnes Parish. In order for T.L.C. to be a success we rely on the generosity of many. We count on the concern of each parish member to notify us when we can be of service to one of our brothers or sisters in Jesus. We invite you to become one with us, and give, in turn, that love which God has given you. If you are interested in volunteering, we have a variety of opportunities available. Call and leave a message today. Wedding coordinators conduct rehearsals and prepare the participants for all phases of the wedding. The coordinator also attends the wedding to help ensure that all goes as planned.